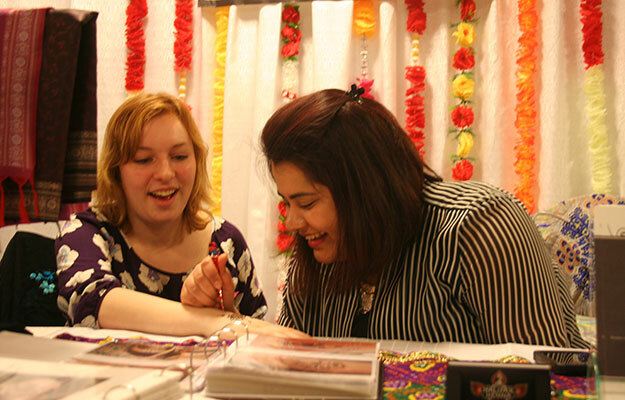 Halifax Henna artist tattoos bride Catherine Sanders. Many cake artists displayed their creations. Nicole McInnis of Oh Dina! millinery and hair accessories on the North End. Liverpool Adventure Outfitters has bachelor and bachelorette packages for kayaking, canoeing and biking. My Something Borrowed rentals offer couture bridal accessories on a budget. Parks Canada offers historical heritage sites for weddings. Something Borrowed Vintage Rentals takes wedding décor to the past. 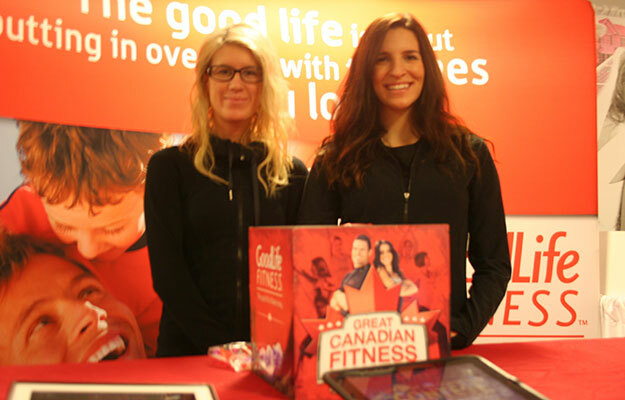 GoodLife gave out complimentary trial memberships. Laugh it Up photo booth services brought a little extra fun to the show. Limo services give the option to ride in style. Many brides left with garment bags holding their dream dress at a discount price. ACS Formals was selling dresses at sale prices. Chester and Felicity bridal held a fashion show. They showed bridesmaids dresses too. A more dance worthy dress. Bride Beth Hudson and her fiancé are going for a rustic lovebirds theme at their upcoming August wedding. Hudson was one of many brides in attendance at the Brides 2014 Halifax Bridal show at the World Trade and Convention Centre yesterday. With more than 135 exhibitors it is the largest wedding show in Atlantic Canada. Vendors included florists, photographers, jewellers, planners and decorators, catering services, honeymoon options, gift registries, DJ Services and more. Attendees of the 25th annual show were eligible to win a grand prize vacation to Barbados. Vendor Nicole McInnis of Oh Dina! millinery and hair accessories just started selling her handcrafted fascinators at wedding shows this year. “I’ve always been attracted to this vintage aesthetic,” says the Hubbards, N.S., native. When McInnis first started selling her work she was shocked to be able to pay her Ryerson tuition in five days. Her work, handcrafted at her North End Studio using materials from Spain and England, is in 35 stores across Canada.